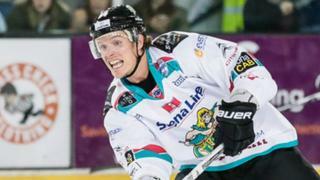 Belfast Giants forward Mike Forney looks forward to facing his former club Sheffield Steelers twice this weekend. Forney aims to help the Giants continue their impressive start to the Elite League season in Saturday and Sunday's matches at the Motorpoint Arena. However, Belfast will be without their player-coach Derrick Walser who picked up a two-match suspension for striking an opponent with his stick during last Sunday's win at Coventry Blaze.